Avendus Finance lends structured debt of INR 630 million to Ad2Pro Group. Avendus Finance, the credit solutions arm of Avendus Capital, and Avendus Structured Credit Fund (AIF) have together provided structured debt of Rs. 630 million to promoters of Ad2Pro Media Solutions Private Limited (“Ad2Pro Group”), a global marketing services company. Funds provided by Avendus are being used by the promoters to buy out the stake of VenturEast, an India-based venture capital fund. Ad2Pro Group is now embarking on the next stage of accelerated growth, after having established a robust creative services platform with the initial venture funding. Founded in 2006, Ad2Pro Group (www.thead2progroup.com) develops and delivers creative strategy and content, low-cost implementation and technology services to media and brand companies. 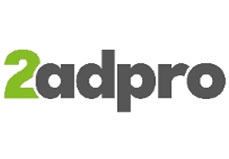 The Ad2pro Group operates three divisions - 2adpro Media Solutions, Madras Brand Solutions, and JDX, the company’s proprietary technology platform - serving a global client base in the United States, United Kingdom, Australia, and New Zealand. Ad2Pro has 1,100 employees working in four delivery centres in Bangalore and Chennai, India, and offices in Los Angeles, New York, London and Melbourne, Australia. Avendus Finance, the primary lender for this transaction and a subsidiary of Avendus Capital, was set up in November 2016. It is in the business of offering customized structured credit solutions/mezzanine capital to high quality mid-market firms in its chosen industry segments. In a short span of one year it has underwritten credit amounting to INR 8 bn across healthcare, industrials, education and IT/IT enabled businesses and as a result is counted among the top players in the structured credit segment in the country. Given the market opportunity and the firm’s superior origination skills, Avendus Finance expects to grow the balance sheet to INR 20 bn next year. The focus of the firm would continue to be mid-market companies looking for highly flexible capital to realize full value and potential of their businesses. The Avendus Group (Avendus) is a leading provider of financial services with an emphasis on customized solutions in the areas of Investment Banking, Wealth Management, Structured Credit Solutions and Alternative Assets Management. Avendus relies on its extensive experience, in-depth domain understanding and knowledge of the regulatory environment, to offer customized solutions that enable clients to meet their strategic aspirations. Avendus Capital has consistently been ranked among the leading financial advisors by overall number of deals. It has a strong track record of cross-border transactions and has helped multiple clients benefit from opportunities across geographies. Avendus Wealth manages close to USD 2 billion worth of assets for HNIs, UHNIs and corporates. In the span of a year, Avendus Finance, the credit solutions arm of Avendus, has become the fourth largest NBFC in the country, while the asset management business of Avendus has USD 1.3 billion assets under management in the same time frame. Avendus’s wide range of clients is testimony to its ability to serve its corporate clients throughout their life cycle – from growth stage funding to complex, large sized transactions later in the cycle.